Is an EPC required for a listed building? We recently considered that the requirement to provide an Energy Performance Certificate (EPC) is now over 10 years old and that some of the earliest certificates are expiring. One of the enduring mysteries concerns whether or not a building of historic interest (listed building) or a building in a conservation area requires an EPC. We will endeavour to shed light on the enduring confusion. The regulations requiring an EPC for a building to be sold or rented, was The Energy Performance of Buildings Certificates and Inspections) (England & Wales) Regulations 2007. The specific section is 5(1). The exemptions are listed in section 4 and include places of worship and temporary buildings but no mention of those buildings that are listed or in conservation areas. On the surface, this would imply an exemption for listed buildings and those buildings in a conservation area because compliance would unacceptably alter the character or appearance. This was commonly held belief and indeed a quick search on the internet reveals that this remains the belief for many including EPC assessors and local authorities. 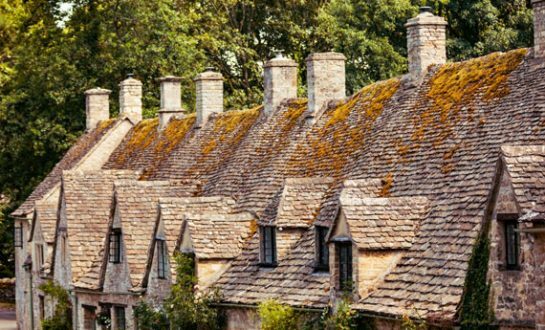 Are you the landlord of a listed building? Have you got an EPC? It is fair to say that the clause of the Regulations above does not provide absolute clarity, however, the words ‘in so far as’ provide the basis for the argument. This implies that the exemption for having an EPC applies only “in so far as” it would unacceptably alter the character or appearance. i.e. it is not a complete exemption from having an EPC, it is only an exemption from minimum energy performance requirements if the alterations would unacceptably affect the character or appearance. Outside of compliance with the Minimum Energy Efficiency Standards, the EPC would be required. ‘To comply with minimum energy performance requirements, many of the recommendations in an EPC report e.g. double glazing, new doors and windows, external wall insulation, and external boiler flues would likely result in unacceptable alterations in the majority of historic buildings. These can include buildings protected as part of a designated environment or because of their special architectural or historical merit (e.g. listed buildings or buildings within a conservation area). In these cases an EPC would not be required’. This last extract suggests that in some case an EPC would not be required. You can begin to understand why there is still confusion on this issue. Sadly this second quote does not end by explaining that the exclusion only applies in respect of minimum energy standards, as can be seen, be reading the legislation quoted above. The Minimum Energy Efficiency Standard currently requires properties to have an E rating or above although this will change over time as the minimum rating is raised to a D and possibly beyond. With this in mind, our analysis and conclusions relate only to F & G rated properties falling described in the Regulations as ‘buildings officially protected as part of a designated environment or because of their special architectural or historical merit’. It has to be said that if it is possible to achieve a D rating, or above, at little additional cost now then this may result in future proofing the building. It is important to understand that the term ‘legally required’, in this context, simply means when a property is marketed for sale or let and, of course, if a property legally requires an EPC then it must also comply with MEES. Complying with MEES for an F & G rated property means either making the improvements or registering a valid exemption. Both the EPC & MEES regulations start to make a lot more sense in relation to listed buildings and conservation areas if you change the question from whether the building needs an EPC or not to what improvements do I need an EPC for. We know from the 2007 Regulations that an EPC is legally required when the building is marketed for sale or let and the regulations do not identify any residential building that is exempt. So, an EPC is only legally required for those improvements that would not unacceptably alter the character or appearance. Therefore MEES applies to those improvements. An EPC is not required for those improvements that would unacceptably alter the character or appearance and therefore MEES does not apply to those improvements. The important point is that as an EPC is not legally required for those works, there is no need to register those works on the exemption register. An EPC is required for the other improvements and therefore MEES does apply to them and, as a consequence, improvements in F & G rated buildings have to be completed or a valid exemption registered. Do you need to make improvements to your rental property? We’ve joined forces with Rated People, the perfect place to find trusted tradespeople for any type of improvement work you may need. Get a free no obligation quote today. A practical example to demonstrate could be a listed building with an F or G rating. The EPC recommendations to improve the energy efficiency of the building include double glazing and loft insulation. Applying the above logic would mean that because the double glazing would unacceptably alter the character and/or appearance i.e. does not comply with the conditions of the listed status, an EPC is not required for that improvement, MEES does not apply and no works or exemption is required. The loft insulation though is a different matter as this would be unlikely to unacceptably alter the character or appearance and therefore the EPC would be required for this improvement. MEES would apply and the work would need to be done or an exemption registered. The explanation that an EPC would be required for some improvements and not others makes sense of the seemingly contradictory messages of whether an EPC is required or not for a listed building or a building in a conservation area. The implication, therefore, is that listed buildings and buildings in conservation areas, marketed for sale or let, do require an EPC assessment but some improvements recommended do not need the EPC. Does your property, listed or not, have an EPC? You can check the EPC register here and if not, we can provide you with an EPC. We are also currently offering a Free EPC for anyone taking out our Rent On Time package. We recently considered that the requirement to provide an Energy Performance Certificate (EPC) is now over 10 years old and that some of the earliest certificates are expiring. One of the enduring mysteries concerns whether or not a building of historic interest (listed building) or a building in a conservation area requires an EPC. This service is much appreciated as it will help to save landlords from misunderstanding or overlooking relevant facts.